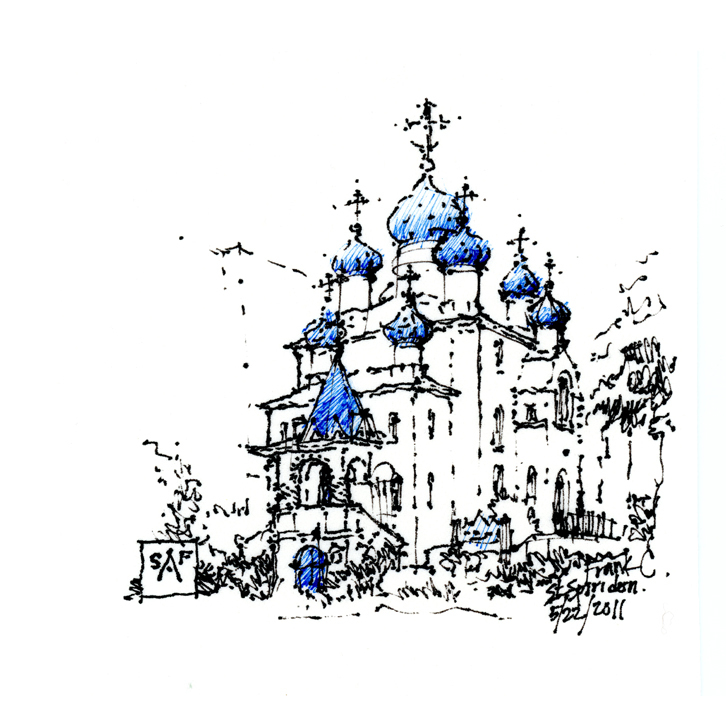 After realizing I was a slacker and did not do my napkin sketch for the SAF ahead of time, I did this view of St. Spiridon Orthodox Cathedral. Because I was using a fountain pen, I tried to be careful about not overdrawing the lines. Fortunately, Olivia suggested I color the onion domes, for which she graciously lent me her blue Micron pen. wonderful sketch! loose and inviting, almost looks confectionary, with dollops of blue icing. Such a slacker! Love it. You captured the essence and all the color it needed!